cover up the criminal activity will be documented on other pages within this site. telephone bills ( 207 #s) and the reimbursement from city departments for their fair share of the cost - nothing more. each dweller for their fair share of the cost. 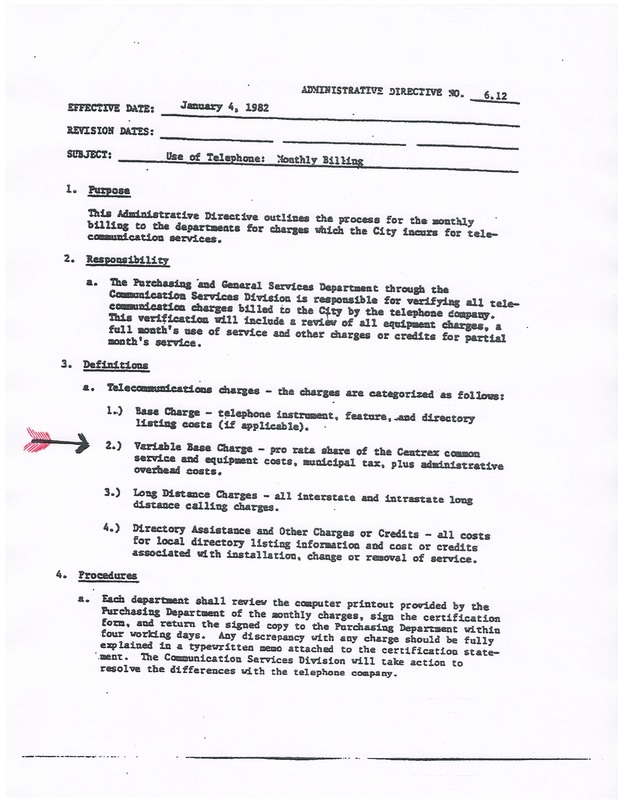 awarded each of these departments that contained provisions for telephone support. their cronies wished to use the money for. Valdez , Gonzalez and their “friends” to hide the fraud and submitted fraudulent reports/audits/requests for years. 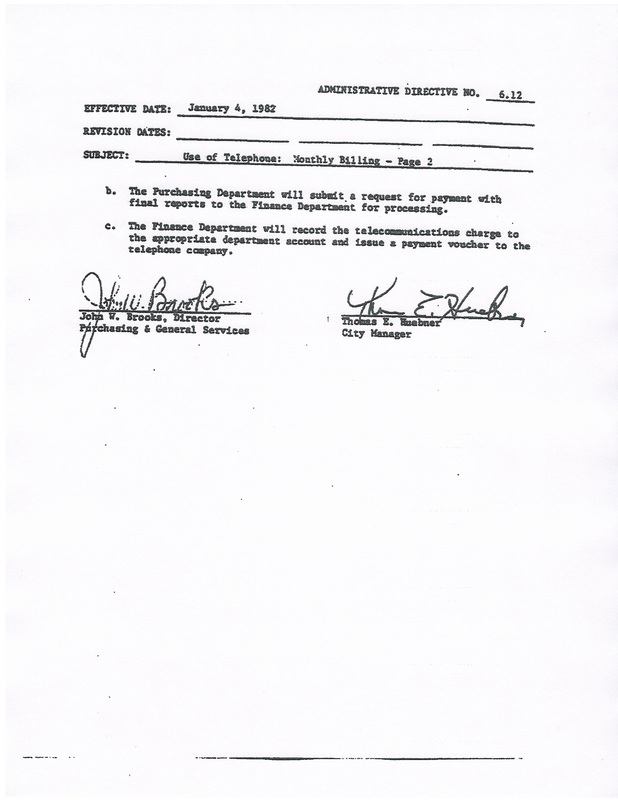 City of San Antonio TX Municipal Integrity Manager Virginia Quinn collected reams of information and documented a series of interviews with City employees showing the systematic plundering of City, County, State and Federal coffers since 1982. Instead of calling the Texas Rangers or the FBI she suddenly conspired to conceal the criminal activity, closed the investigation in mid-stream, denied access to reports and documentation and published a fraudulent report and other correspondence stating that she found nothing. In a City email of November 2005 to Budget Director Peter Zanoni, IT Director Hugh Miller and CIO Michael Armstrong she again stated that she found no wrongdoing BUT went on to describe how the "variable" had been used since 1982 to secretly access to funds while City Departments were billed for bogus " untold amounts of goods and services" " for the past twenty-five years". Quinn goes on to say that " no laws or written rules were violated in the administration of the telephone variable because there never were any"....a LIE. She ,other officials, Budget Manager Peter Zanoni, IT Director Hugh Miller, CIO Richard Varn, IT Manager Diana Gonzalez, City Attorney Michael Bernard, SAPD Chief William McManus, City Manger Sheryl Sculley, numerous attorneys, at least two Judges, at least two District Attorneys and others conspired to conceal the existence of City Administrative Directive 6.12 and other documentation showing that there are laws, rules, regulations and protocols regulating the use of the "variable" and regulating the expenditure of public funds. competitive bidding and public review. This is the law! 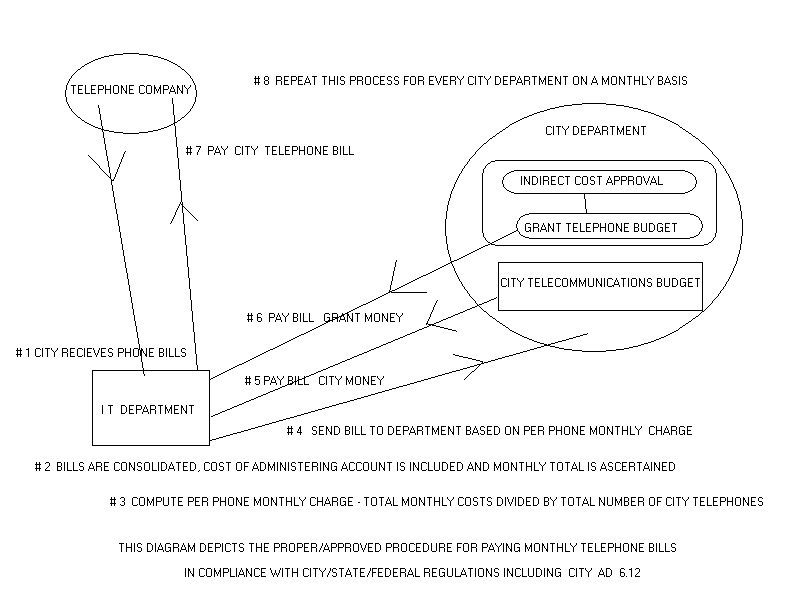 This simple diagram shows the ILLEGAL manipulation of the internal telephone billing account - the variable. 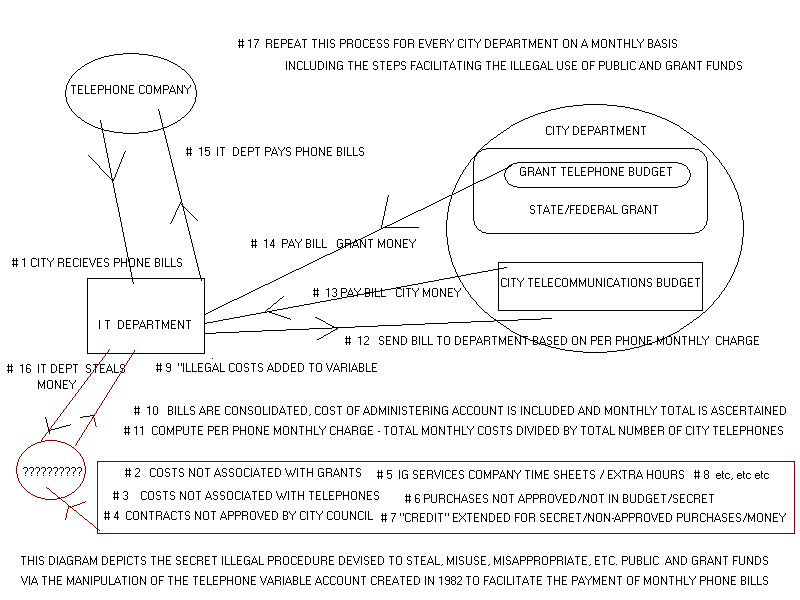 ( outlined in red at the bottom of the image) Corrupt Officials and employees secretly siphoned tens of millions of dollars from City, County, State and Federal budgets and used the money for whatever they wanted and in many instances to line their own pockets and the bank accounts of friends in violation of the law.